Email marketing is a great way to reach and engage your audience. Compelling subject lines in your emails are a great way to encourage your audience to open your emails. We talked about utilizing lifecycle emails to engage your audience at different stages of their Customer Journey. The only way to reach your audience is with great content, and this can be crafted by a professional freelance copywriter who understands your business and your customer needs. Let’s take a look at how to craft compelling subject lines for your email marketing efforts. I work with businesses to optimize their email campaigns, and here are a few of the items we look at to increase conversions and sales. Self-interest emails are a great choice if you want to qualify your audience. This approach will “test the waters” about the needs and desires of your readers. 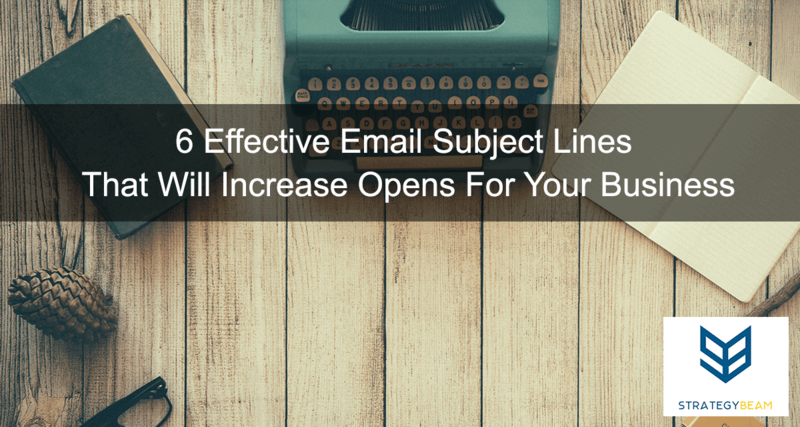 Self-interest email subject lines give you the ability to send specific topics to your audience. The thing I like about a self-interest subject line is that it requires the sender to be direct and transparent. You have to get to the point if you want to pull of self-interest email subject lines. I love these subject lines for my emails because they speak to the needs and desires of your readers. However, it is important to note that you should be clear on what your audience wants to pull this type of email subject line off. Humans are hard-wired to be curious. Whether it is wanting to see what is on the other side of the door, or what it feels like to own something. This is why curiosity subject lines for emails are effective. This type of subject line is the exact opposite to the self-interest email subject line. Self-interest email subject lines speak to the needs of the individuals. Curiosity email subject line draws the reader in because of the lack of specifics. Don’t give away too much information when using curiosity subject lines. Lack of information will entice them to click and engage with your content. Be careful to not overuse this type of subject line. Your audience will become immune to the pull of curiosity as the repetitive use will come off as spammy and not enticing. Be sure to use this type of subject line when needed, and always use it for a specific segment of your customer base. To gain the most from your email marketing strategy you should also align the email campaigns with great blog writing so your readers can read more about your products or services. Everyone loves a good offer. That is why putting an offer in your email subject line is a great way to draw your audience to open your emails. This type of email subject line works great when coupled with a tangible item like an ebook, downloadable infographic, or whitepaper. Placing an offer in your email subject line is like using self-interest, but this approach points to the item received. One tip I have for you if you want to pull this subject line off is to include the action. Words like: “Download,” “Grab,” or “Receive” tell your readers how to receive the offer you are offering. No one wants to lose out on a great deal because we as humans want to maximize the utility of our surroundings. Urgency raises our heart rate and triggers the “Fight or Flight” reaction. You can use this to your advantage by including urgency in your email subject lines. Pointing out what people will lose out on is a short-term strategy. This approach requires that you know the needs and desires of your audience. Only use the urgency approach when appropriate and only in the right amounts. This type of email subject line is most at risk for losing its potency if overused. Your audience likes appreciation. You can use this to your advantage by including appreciation and gratitude in your email subject lines. This type of email subject line helps make a connection between you and your readers. Appreciation/gratitude is used a lot of transactional emails to thank customers for purchasing, subscribing. Record-breaking year, thanks to you! You can use this email subject line by including real families, names, and purchases of similar products or services relevant to your email communication. The key to remember is that using proof in your email is most useful once you qualify your audience. You need to understand your audience needs and desires to know what to provide proof of. The key to increasing your Click Through Rate and engage your audience with email marketing is to have them open your emails. I hope these email subject lines will help your business! There are many free online marketing tools for small business owners, and some of these can help you craft better emails. Check out the huge list to grow your business today!